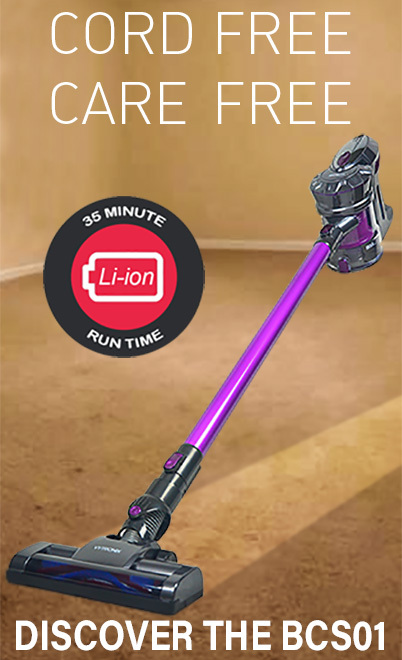 Whirlwind is a lightweight bagless upright vacuum with efficient money saving motors to achieve a top class ‘A’ energy rating. Suitable for both carpets and hard floors, Whirlwind features hygienic one touch bin emptying, a 2.5m stretch hose and 2.5L capacity. The 2.5m stretch hose is a great addition which helps you to vacuum hard to reach areas of your home such as stairs and ceilings. Whirlwind comes with a 2-in-1 dusting brush and crevice tool which helps you to effectively clean a wide range of surfaces, nooks and crannies. Whirlwind combines money saving efficient motors with good dust pickup, achieving the ultimate ‘A’ rating for energy along with a ‘B’ on hard floors and a ‘C’ for carpets.